SanDiegoVille has partnered with native San Diegan, Bianca Jaime of Happy Hour Bee (and So Diego Tours), and will be sharing her artfully concise videos on what we hope to be a weekly basis, beginning with her experience of Stake Chophouse and Bar in Coronado. 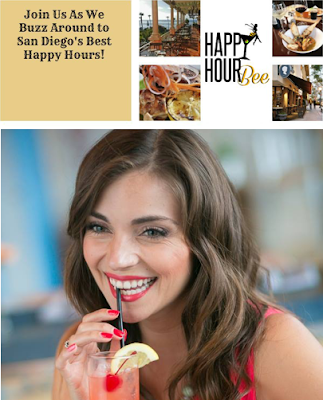 Happy Hour Bee Bianca Jaime is a professional tour guide, entrepreneur, and performer. She believes that it's important to explore and support our city's eateries, and feels that happy hour specials make for a great way for new customers to become acquainted with an establishment. Enjoy Bianca's Happy Hour Bee video below on Coronado's newest steakhouse, Stake Chophouse & Bar, where she showcases their daily happy hour, which takes place at the bar from 4:30 to 6:30pm.